PremierPoint Solutions will host a free one-hour webinar titled “Making SharePoint Extranet Collaboration and Management Secure, Easy and Affordable” on July 2 at 11 a.m. EDT. ExCM has made extranet collaboration smooth and efficient for IBM, Best Buy, NASA, Federal Express, AT Kearney, Microsoft and numerous other organizations. “Making SharePoint Extranet Collaboration and Management Secure, Easy and Affordable,” a free one-hour webinar about a comprehensive solution for simplifying SharePoint extranet management, will be take place July 2 at 11 a.m. EDT. The session will include a question and answer period. Hosted by PremierPoint Solutions, a leading developer of high-quality commercial software add-ons for SharePoint, the webinar will demonstrate a proven tool for making the extranet secure and easy, with affordable access and collaboration for business partners, venders, employees and clients from virtually any place in the world. While SharePoint is built for collaboration and contains built-in collaboration tools, IT pros who attempt to implement SharePoint as an extranet quickly find out there are many hurdles to overcome, including having the appropriate tools to use and manage it well. 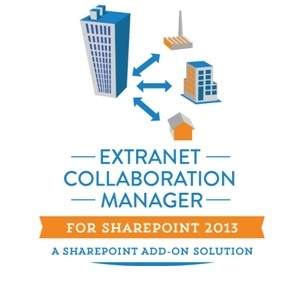 PremierPoint Solutions’ integrated SharePoint add-on solution, Extranet Collaboration Manager for SharePoint (ExCM), provides the tools that are absent in SharePoint out of the box but are absolutely necessary to facilitate secure, easy and affordable extranet management and use. “ExCM has made extranet collaboration smooth and efficient for IBM, Best Buy, NASA, Federal Express, AT Kearney, Microsoft and numerous other organizations,” said Randy Moody, PremierPoint Solutions’ customer service manager and moderator of the webinar. In a nutshell, ExCM creates, secures, manages and streamlines the use of SharePoint 2010 and 2013 extranets. Now in its third release, this award-winning product has become the industry standard in powerful, streamlined SharePoint extranet management and use. All of its features are accessible from within SharePoint itself, so there is no proprietary interface or separate program to learn. With ExCM, administrators are empowered to delegate authority to power users designated as “site sponsors” who can perform routine administrative tasks such as sending invitations, adding accounts, unlocking accounts and more. Johnathan Horton, who handles commercial software engineering and support for PremierPoint Solutions, will lead the technical portion of the webinar. He serves as the first line of customer support for the company’s commercial software division. “ExCM enhances SharePoint’s out-of-the-box extranet capabilities and frees up IT departments so they can focus on advancing technologies instead of having to maintain users and reset passwords,” Horton said. Click here to register for the July 2 extranet webinar. Based in Nashville, Tenn., PremierPoint Solutions (formerly SharePoint Solutions) is a Microsoft Certified Partner and a nationwide leader in expert-led, in-person and online public classes on SharePoint products and technologies. The company’s software division professionally develops high-quality commercial add-ons for SharePoint. Most of the company’s courses and services are also applicable to Office 365.